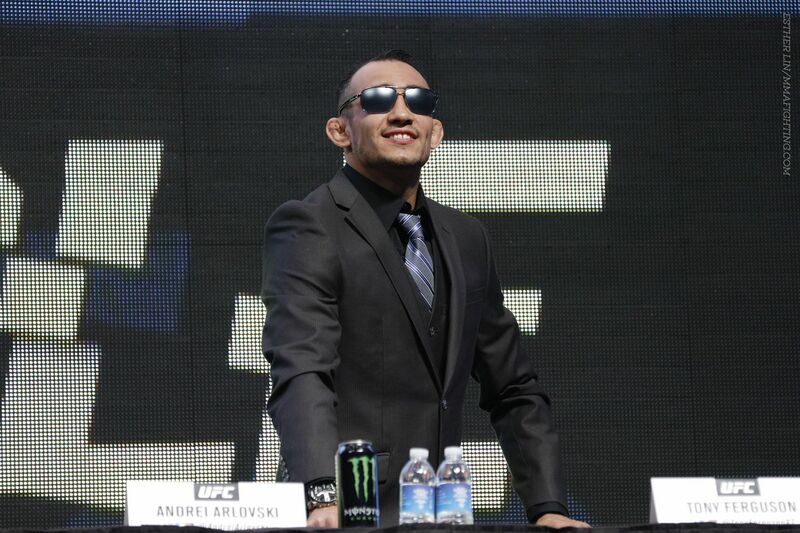 Somewhere between the excitement of UFC 205 and the drama surrounding Khabib Nurmagomedov, Tony Ferguson became the forgotten man of the lightweight division. Just one week before Conor McGregor’s theatrics in New York, Ferguson capped off a record-breaking nine-fight win streak at lightweight with the most impressive victory of his UFC career, a five-round route over former champion Rafael dos Anjos. Ferguson sunk back into the shadows afterward while the fight world turned its gaze to the Irishman. But now that UFC 205 is over and the 155-pound division is wide open with options, Ferguson is already tired of hearing from Nurmagomedov about what is deserved in this mercurial game. “All bullsh*t aside, the guy is a whiny b*tch,” Ferguson said of Nurmagomedov on Monday’s edition of The MMA Hour. “He can whine as much as he wants to.